York—one of Britain’s best-loved cities—is a medieval delight brimming with history and magnificent architecture. 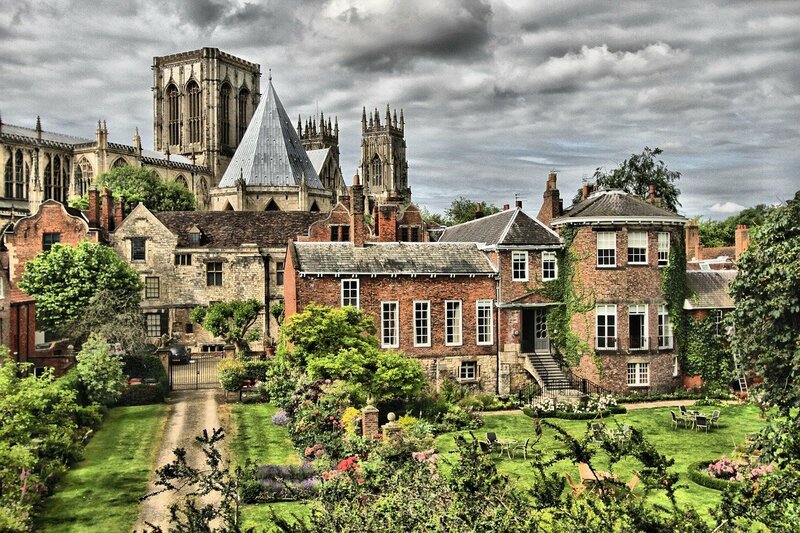 Beautifully preserved and dramatic 13th century roman walls enclose the city’s maze of narrow streets, at the heart of which you’ll find York Minister, one of the world’s largest and most stunning Medieval Gothic Cathedrals. 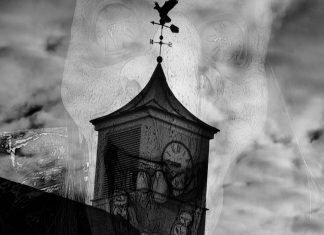 York is one of the most haunted places in the whole of Great Britain. Apparently, there are over 500 ghosts in the city. 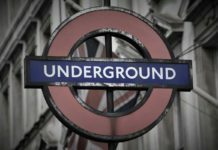 There are many bizarre old laws in the UK, and one of the strangest originates here. 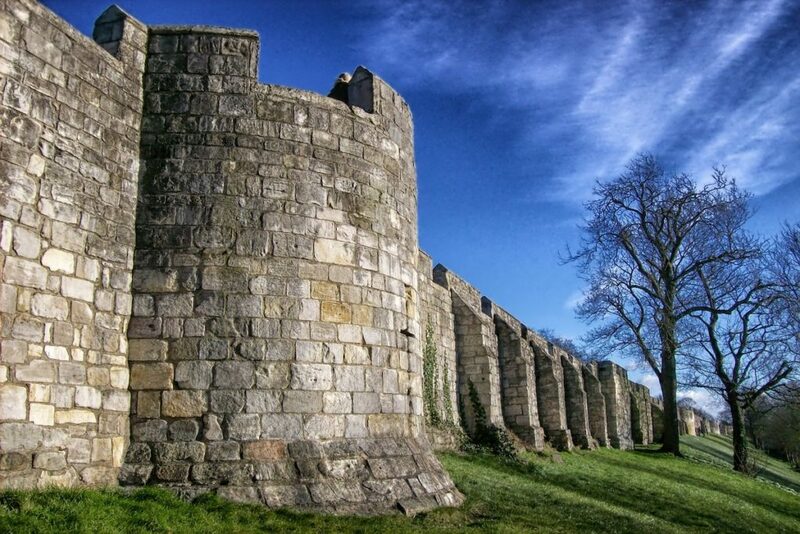 According to an outdated English law, it’s completely legal to shoot a Scotsman within York’s city walls. However, a bow and arrow can be your only weapon, and you’re not allowed to do this on a Sunday. There are over 365 pubs in York. Meaning you can pop in for a pint at a different drinking hole every day of the year. If you visit York Minister with your “bae” (slang for girlfriend or boyfriend), then don’t forget to give them a smooch underneath the Great West Window. Legend has it that if you kiss beneath the ‘Heart of Yorkshire’ stained glass window then you’ll stay together for eternity. Dating back to the 18th century, York has one of richest chocolate histories in the UK. Two of the country’s biggest chocolate brands, Rowntree’s and Terry’s, were founded here. Supposedly the two families infamous rivalries was where Ronald Dahl’s took inspiration for his book Charlie and the Chocolate Factory. 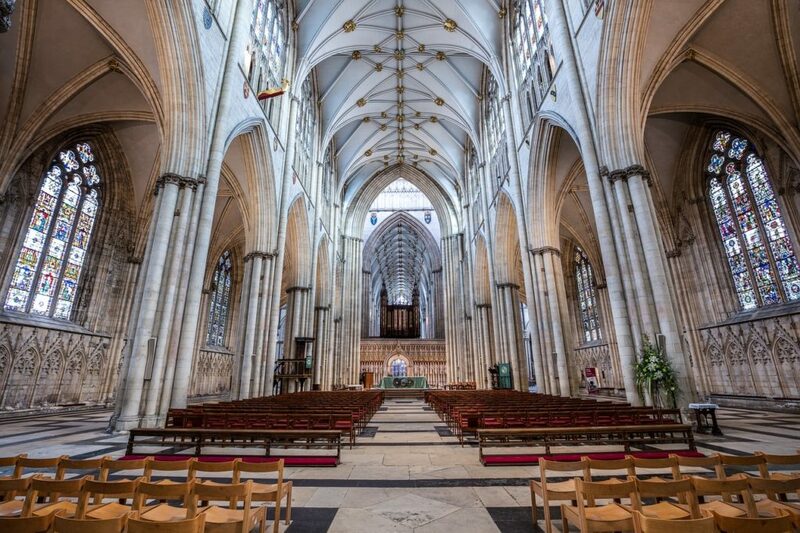 The first and most important stop on your York getaway should always be York Minister. Its artistic mastery is visible in its intricately stained glass windows and beautiful stone architecture. The building took a whopping 250 years to complete, and it’s easy to see why. Follow in the footsteps of Roman soldiers by heading down to the cathedral’s underground chambers to discover over 2,000 years of history. You’ll see the remains of a Roman barracks, an Anglo-Saxon cemetery and the groundwork of the original Norman Minister. Excitingly, all of these weren’t uncovered until excavations in the 1970’s. You’ll also be able to read a string of personal stories showing how the cathedral affected so many citizens’ lives. 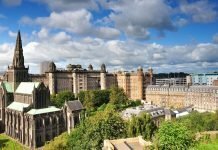 And for some of the best views of the city, climb the cathedral’s 275-steps to the lookout at the top of the Central Tower. Calling all chocoholics! Embark on York’s famous Chocolate Story tour to delve into the fascinating history of York’s two prominent chocolate families, the Rowntrees and the Terrys. 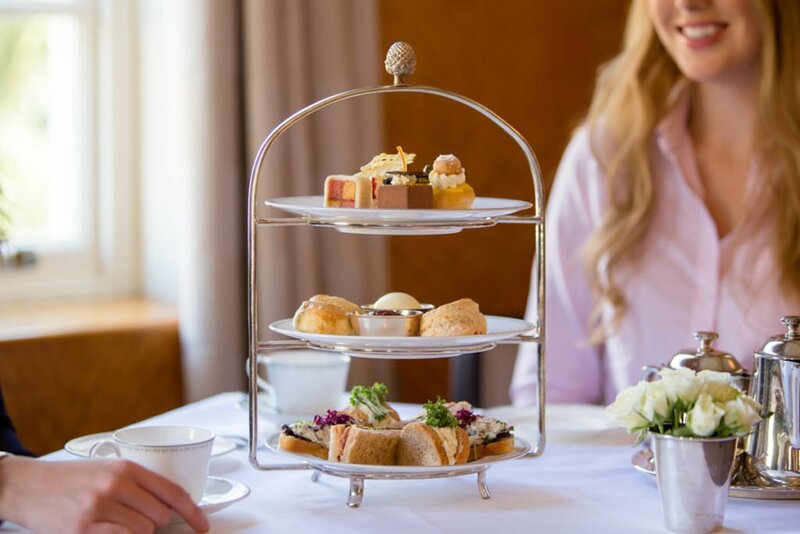 You’ll discover how they made their finest and most influential creations, such as the Kit Kat and Chocolate Orange, as well as how to taste chocolate like an expert. York Castle Museum is regarded as one of the best museums in the country. Travel through wartime Britain, the swinging 60’s and Victorian England by exploring the museum’s replicas of an old street with salvaged shop fronts, old living rooms and a prison. If you’re feeling brave, delve into York’s dark history at the York Dungeon. Join their spooky spectacle that perfectly captures the city’s gruesome past. This includes the sad story of one local resident, Margaret Clitherow, who was gruesomely pressed to death for hiding Catholics. Learn about the impact that iconic locomotives have on Britain at the National Railway Museum. You’ll see how engineering has shaped our past, present and future. Climb aboard the Japanese bullet train, journey back in time to a replicated station and visit Queen Victoria’s favourite royal saloon. No trip to York is complete without a trip to Bettys for afternoon tea. Gorge on a decadent spread complete with fluffy Yorkshire Rascal Scones (a local favourite), spoonfuls of homemade jam and dollops of cream. Their menu has a seemingly endless list of naughty treats, including over 300 types of cake that are all as delicious as each other. Top off your visit with a teapot of traditional Yorkshire tea. There’s nowhere better to spend an afternoon! Enjoy a roast dinner with all the trimmings at Hole in Wall. Just around the corner from York Minister, this pub is the perfect place to scoff down multiple Yorkshire puddings and tender roast beef. Especially if you’ve worked up an appetite climbing all the cathedral’s steps! Apparently, the pub is haunted. So don’t be surprised if a roast potato or two go missing from your plate while you’re there! The Rattle Owl is a restaurant worth splashing out for. Whether it’s for a celebratory graduation dinner, a birthday or if you’re just feeling chic, then dining here is a must. The atmosphere is hip and casual. Imagine a mix between an exposed brick loft and a 17th-century Grade I listed building. In terms of the food, the menu is bursting with produce taken from the surrounding Yorkshire countryside. It’s a true local treat. Classics like the venison cottage pie are great to warm up with on a rainy day. The whipped Yorkshire blue cheese with figs is also quite something. For some rock tunes and a good mix of wines, spirits and local beers, head to Viking-themed bar Valhalla. The owners have made the place look as genuinely Norse as possible. Touches include a skull and horn under glass in the floor, candles for mood lighting and hefty oak tables. Since Mediterranean inspired Sotano opened in 2012, this speakeasy has brought in clientele from all over the world. Tip toe down its dainty stairs and into the romantic, low-lit basement for any cocktail you may desire. If you’re not sure what poison you’re after, let the bar’s cocktail connoisseurs know your favourite flavours and your drink will be left in good hands. They make every thing with unparalleled love and care. Ask for a bowl of juicy olives on the side and you’ll be in for the perfect date night. 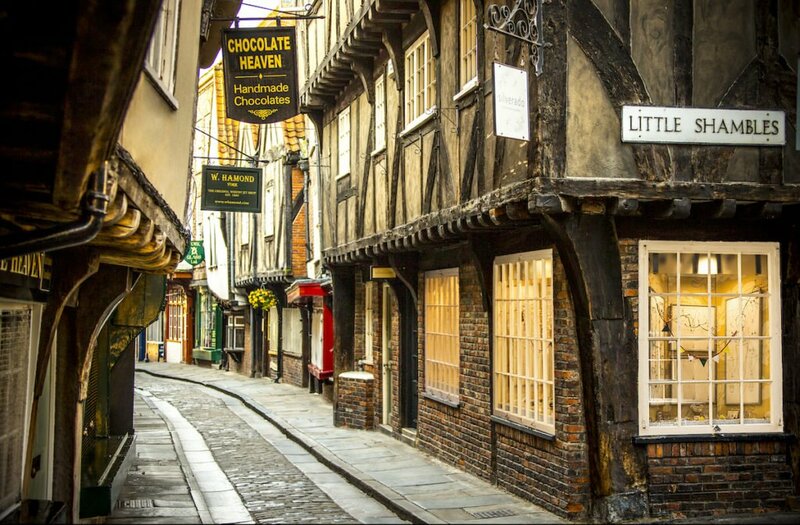 The Shambles in York, one of Britain’s most picturesque streets, might look a little familiar. That’s because it was the inspiration for Diagon Alley in the Harry Potter books and films. Wandering through this winding cobblestone street lined with Elizabethan and Tudor buildings makes you feel like you’re on a film set. Although cuts of meat used to dominant the shopfronts’ open windows, the old street has become decidedly more quaint. You’ll find a treasure trove of independent boutiques including Little Shambles Jewellers and York Glass Ltd. Harry Potter fanatics will also find a number of themed shops. Everyday between 9am to 5pm, you’ll find the Shambles Market tucked between Parliament Street and the famous Shambles. Head here to explore over 70 stalls for anything and everything from delicious food to arts and crafts, one-of-a-kind clothes and fresh flowers.